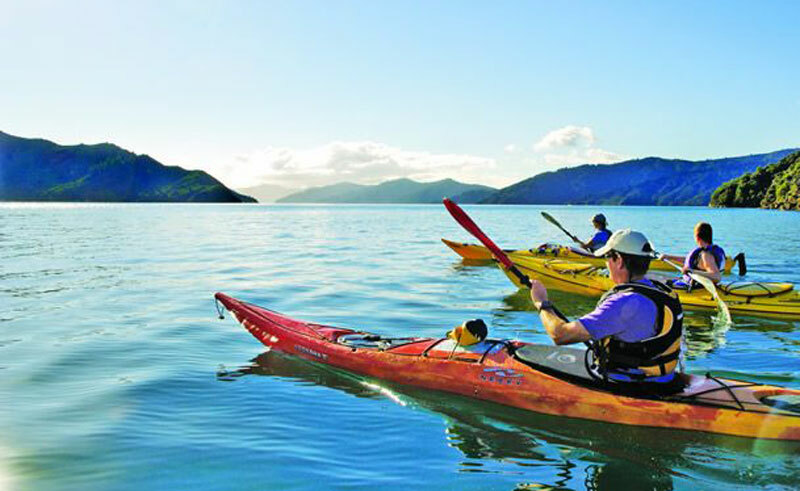 Qualmark endorsed visitor activity A journey through some of Marlborough’s emerald-coloured scenery, this expedition by sea kayak departs from Picton’s foreshore. Travelling gradually up the harbour, you will enter the Grove Arm of Queen Charlotte Sound, widely regarded as one of the most pristine corners of New Zealand’s south island. Paddling past rich, bush-clad shorelines and along the area’s golden beaches, we encourage you to keep an eye out for the area’s incredible bird life, even as your paddle cuts through the sapphire blue waters of the sound. Time will be taken to stop for morning tea and lunch along the way and, as this is a one-way journey, you will not have to worry about running out of time, or turning around before you have had your fill of this majestic area. The return journey to Picton is by road.